Nearly five thousand books are currently available on the subject of the "new" Catholic Church. 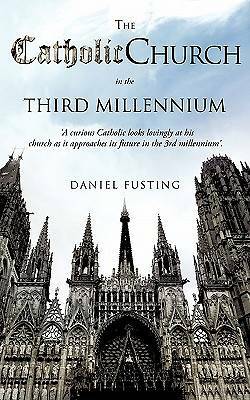 However, few of them capture the essence and explain the practice of the Catholic faith tradition in a way that is as understandable as The Catholic Church In The Third Millennium. This book documents the dramatic changes that have transformed the Catholic Church during the past four decades, explores the implications of these changes in the present and projects future changes still to come. Most everyone who reads this book will discover a greater appreciation of their own very personal faith journey. Daniel Fusting served as president of a national management consulting firm for thirty two years and authored several programs in organization, management and leadership development for the business world. During this time, he remained actively involved in parish and diocesan ministries and developed several programs in pastoral and ministry formation for both the priests and the laity. He now devotes his full time to writing and speaking. Dan and his wife Mary, who is also pastoral associate in their parish, have five children and sixteen grandchildren.